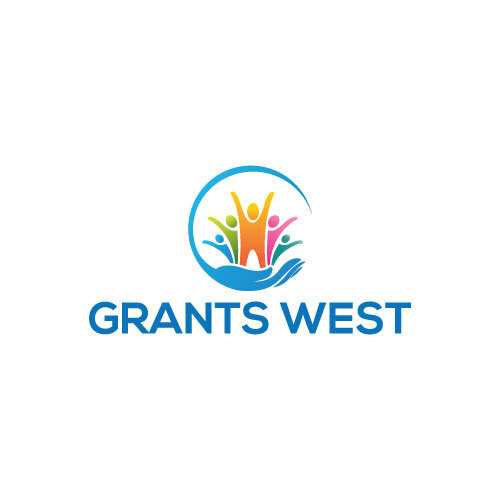 Grant deadlines and websites for San Diego grantors. We are proud to provide this list of funders that support San Diego nonprofits, school districts, higher education and local government. The following list is not comprehensive, but includes funders that grant at least $100,000 or more in total grants. All of the funders below accept grant requests. Note that you should NEVER apply for grant funding without having a copy of a funder's grant guidelines. If guidelines are not available online, we encourage you to contact the funder by phone or mail to request the guidelines. You can use GuideStar or the Foundation Center's Funder Finder to obtain the 990 tax returns for most grantmaking foundations. The 990 includes a list of grants made by the funder, and, in most cases, their grant guidelines. Begin with letter of intent. Contact funder or see website for guidelines and details. See website for criteria. Contact funder to determine eligibility. No deadline. See website for guidelines and details. Begin with letter of intent. See website for details. No deadline or formal application process. Contact funder for guidelines. Submit letter of inquiry for appropriate funding category. Click here for their funding areas. Contact funder or see website for guidelines and details. Deadlines are 1/1, 4/1, 7/1, 10/1. Submit letter with purpose and request amount, and 501c3 tax-exemption letter. Various deadlines for different program areas. Contact funder or see website for guidelines and details. Deadlines vary with program area. Contact funder or see website for guidelines and details. Contact funder or see website for guidelines and details. Contact funder or see website for guidelines and details. No deadlines. January 15th or July 15th. Submit preliminary grant application with adequate time ahead of these deadliens to be invited. Send letter proposal, financial statements, 501c3 tax-exemption letter. No deadline. Contact funder for guidelines and details. No deadlines. Contact funder for guidelines and details. No deadline. See tax return for guidelines and details. Contact the funder or see website for guidelines and details. Letter of inquiry process. Contact funder by mail for guidelines. Deadlines are 5/30, 10/31. Short letter proposal. Contact funder for guidelines and details. Contact funder by mail for guidelines and details. Deadline is 4/15. See website; funds different categories. Deadline is typically in late October. Contact funder or see website for guidelines and details. No deadline. Contact funder for guidelines and details. No deadline. Contact funder or see website for guidelines and details. Deadline is May 15. Contact funder or see website for guidelines and details. Deadlines are open/vary by funding area. Written proposal. Contact funder for guidelines and details. No formal guidelines. Contact funder for guidelines and details. Letter of inquiry process. See website for guidelines and details. Applications available in November. One deadline annually. See website for guidelines and details. Contact funder for details and guidelines. Contact funder or see website for guidelines and details. Deadline is 8/31. See website for details and open requests for proposals. Online grant application. See website to begin process. Contact funder for guidelines and details. Deadline is 4/15. Contact funder for guidelines and details. Letter proposal due 4/1. Grant guidelines, application and forms available online. Letter proposal. Contact funder for guidelines and details. No deadlines. Online grant application through TW's Connect a Million Minds program. Both foundation and charitable contribution guidelines available on website. Issues requests for proposals for its priority areas (education, income and health). 633 West Fifth Street, 29th Fl. Multiple deadlines. See website for guidelines and deadlines, or contact foundation. Online grant application. See website for details. Letter proposal. Contact funder for guidelines and details. See website for grant guidelines and deadlines. To make contact with the foundation, use email or fax. Guidelines available online. Contact foundation for details. Guidelines available online. Deadlines are 2/15 and 8/15.